Another beautiful day in Southern California. On Saturday we had lunch at the most wonderful brasserie in West LA. 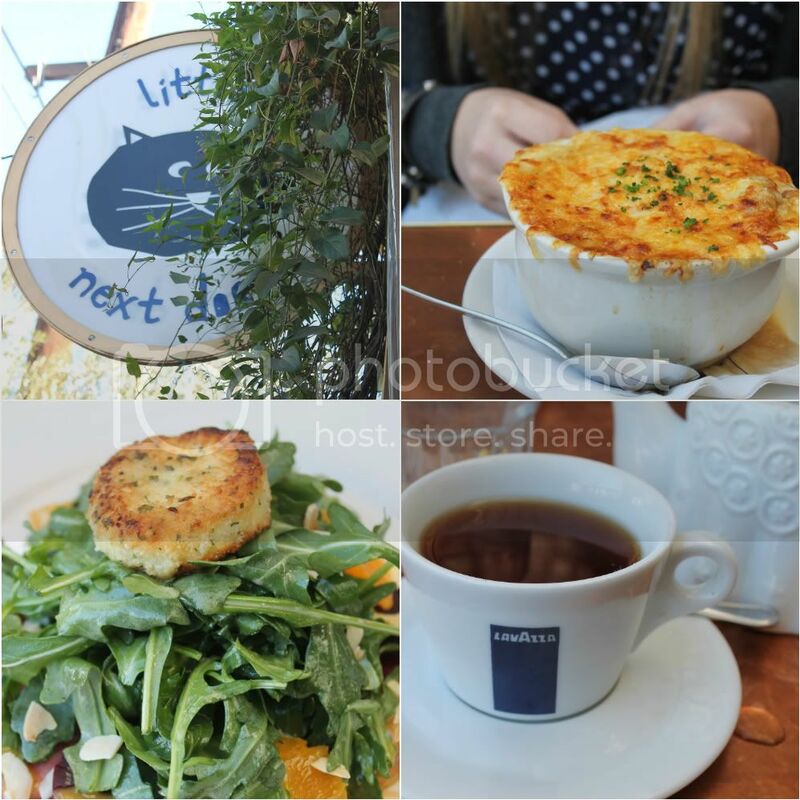 Little Next Door is in the West Third Street district of Los Angeles. We were headed to LACMA and wanted to try something new for lunch in the area. Both inside and outside seating areas were very charming. The service was excellent. On the weekends they serve a brunch menu all day, but they also served lunch items. Madeline chose the French Onion Soup and I had a wonderful salad with a citrus dressing, a trio of beets and a goat cheese medallion. They are known for their pastries, colorful macarons and freshly made organic bread. Someone seated next to us flagged down the waiter to ask him to be sure to save a croissant for him. This charming little place seemed to be filled with regulars, but even with people waiting on the sidewalk for a table, they gave us our check and the waiter said, "This is just for your convenience, no rush." Madeline ordered the pot de creme for dessert...we loved the presentation and it was so delicious. If we closed our eyes...we could have been in Paris. As much as I love to try new restaurants...we will be going back to the Little Next Door. Next up...LACMA. A trip that should take three minutes, but this is LA, so it's more like 20. As we waited in the queue to buy our tickets, a woman walked over from the information table and asked Madeline if she was under 18. We found out that children have a free pass to LACMA until their 18th birthday and each child with a pass can bring a parent. We signed Patrick up as well and will return to see a couple of the exhibits. 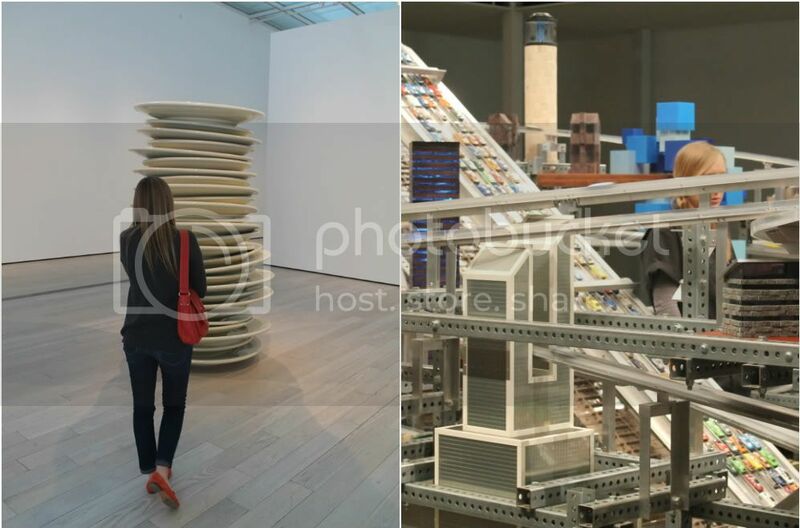 Metropolis II just opened January 14th. I love the outside area, especially on a day like today. 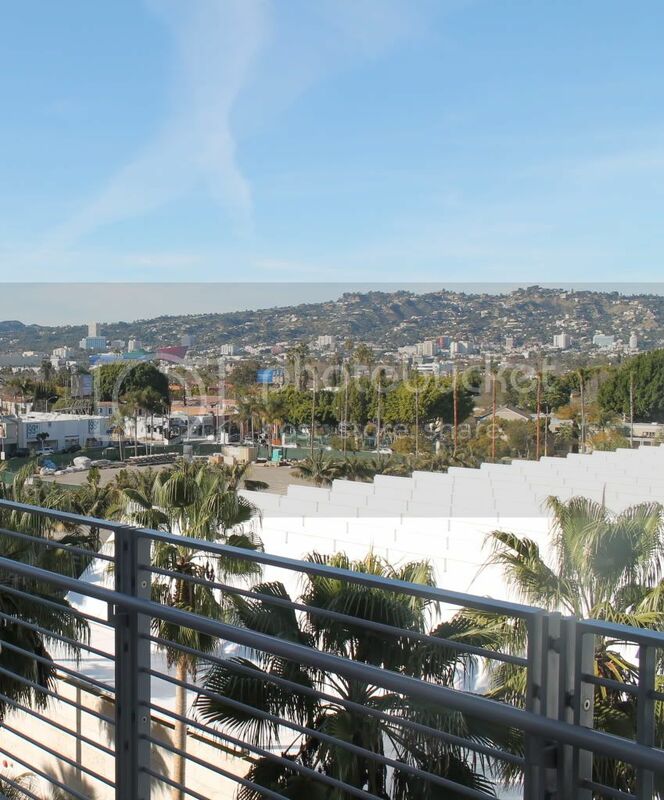 It was an unusually clear day in LA. As we were driving on the 10 freeway we could even see the Hollywood sign. What a pretty day in LA! That food looks fabulous! I love being out and about with you! Hi Annie! Your salad looks fabulous! I love goat cheese medallions. I use to make them all the time and your post reminded me that I need to make them again. I love how you and Madeline have your "girls" days. Zoe and I are now doing more girly things together and it's so much fun. Oh the joys of clear blue skies and warm temperatures, I'm almost misty eyed looking at this Annie! 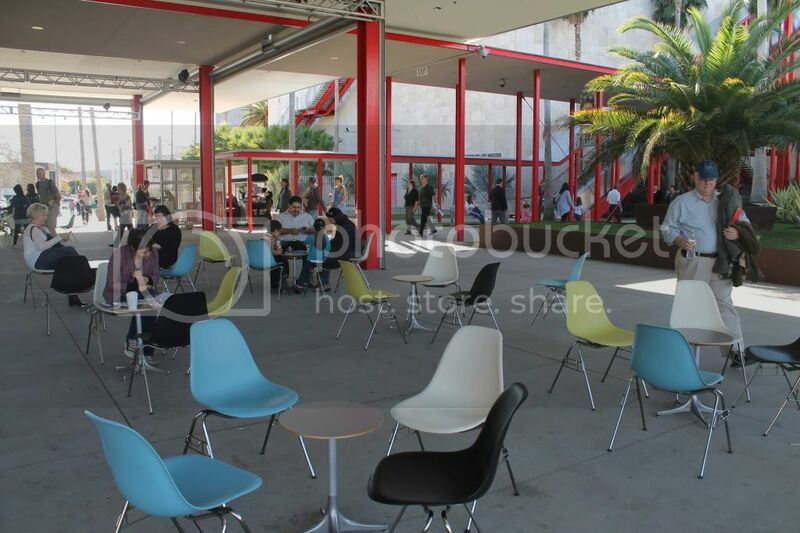 Your post brought back so many memories of fun trips to LACMA with the kids. What an oasis in the city, and the restaurant didn't look too shabby either. I'm always too shy to take photos like that---I'm glad you did! It looks like a great day. Can you believe I've never been to LA? It is definitely on my list of must see places. Have a terrific week! It looks like a wonderful way to spend the day in LA. Lunch looks divine! Another place I'm going to have to try. The pot de creme looks amazing. I didn't know that kids under 18 got in free. Good to know! Thanks for sharing your day. Shot, I am hungry now. It looks delicious.I am going to have to try it. You are the "Go To Girl" for everything fun and exciting... Yummy and new too! Love the Bold Blue! Madeline is so lovely and grow-up! The restaurant sounds so good; a little piece of Paris, right in the heart of LA:). I love it. And your Madeline looks like such a snappy dresser:). I love your photography and those French bistro chairs (I just bought two that I can use indoors and on the patio). Such a precious time with you daughter. I miss mine. Well that settles I'm taking the kid let to LACMA and were having lunch at Little Next Door. Looks like you gals enjoyed a beautiful day together. A lovely post for a lovely day. Enjoyed the pics almost as much as you enjoyed your lunch and trip to LACMA. Sigh - just another fabulous day in Southern Cal!! The lunch looks amazingly good - what a great place. Madeline shoes look just like a pair my daughter Neely has! I love that bright color. What a fun day!! And that restaurant looks amazing!! I will give it a try when we are in the area. What a cute cafe! Lucky you, this makes me want to vist LA!